It goes without saying that with Valentine’s Day on the horizon, a great sparkling wine should be on your radar screen, as well. And, while there’s no shortage of great French Champagnes that would do the trick for Cupid, I’m especially enticed by the seductive flavors of Piper-Heidsieck Cuvée Brut Champagne ($49.95). This signature house cuvée is a classic blend of PInot Noir, Meunier, Chardonnay and a small percentage of reserve wines dosage. It’s a subtle, elegant Champagne with fresh apple and pear flavors along with hazelnut and almond notes. 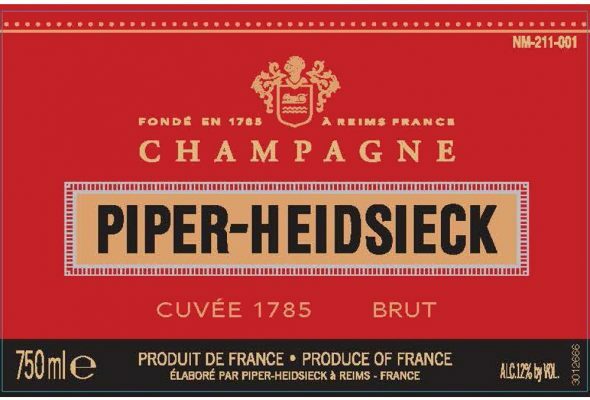 Piper-Heidsieck Cuvée Brut Champagne would be a perfect partner for classic Valentine’s Day foods like oysters, lobster, and rich cream sauces, but it also pairs quite nicely with unexpected treats like hard cheeses, spicy foods, and even everyday fare like fish and chips! It’s that versatile. Personally, my favorite Piper-Heidsieck food pairing is a traditional croque monsieur sandwich – what about yours?